Model T Ford Forum: OT...Old Pic / Great deal ! OT...Old Pic / Great deal ! Model T Ford Forum: Forum 2018: OT...Old Pic / Great deal ! That would be SO fun to do today! Just to see how they thought it might be in those days. I�m in, Sign me up! I bet NASA feels dumb now! I think they spent a bit more for their trip to mars. Step right up folks only one thin dime,one tenth of a dollar. Bud. No hand rails how did we all live so long? Its hard to imagine it now, but at the time this photograph was made, a lot of people, including many astronomers (Percival Lowell being the most famous AND vociferous) believed that Mars was similar to earth in that it harboured life and there was a civilization of beings living there that roughly paralleled our own. Working from his observatory, Lowell even imagined he could make out an intricate system of canals that the Martians had built to channel water from the polar ice caps to the equator, a sign that he interpreted as a desperate attempt to make livable a planet that was slowly succumbing to irreversible desertification. Given the general acceptance of the existence of our Martian neighbours, I'm sure H.G. Wells and Sir Conan Doyle thought that their "Science Fiction" tomes written in this era were admittedly fantastical, but perhaps not PURELY fiction. I wonder what was really behind that curtain. 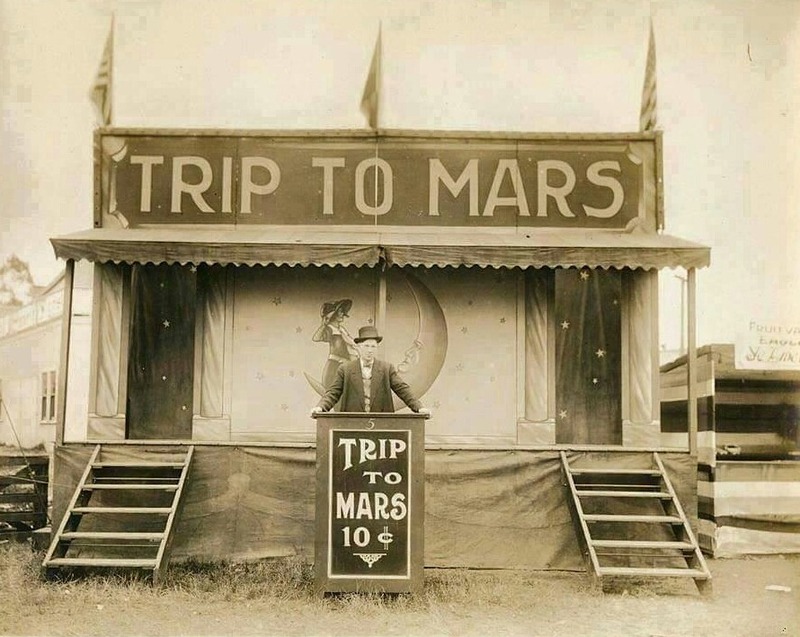 Maybe this seemingly innocent side-show attraction from an obscure travelling circus was actually a way for Martians to stealthily capture Earthlings! you are ushered inside the transporting-beam "tent", from which you never come out- at least not on this planet. I've always heard "Mars needs women! ", perhaps this is how they procured them? Then as now, people were willing to believe anything. The movie version of that book by Disney was a box office dud, but I enjoyed it. 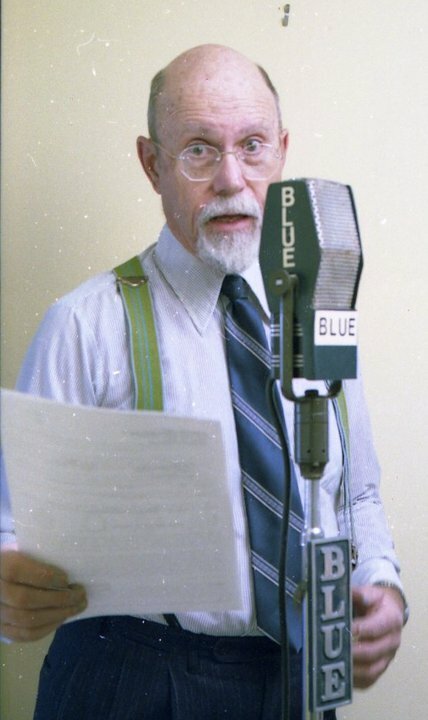 I remember our local AM station would run Orson's War of the Worlds radio play every Halloween. It was de rigueur in-the-dark listening all through my childhood, and it was even better if there were thunderstorms in the area that particular night to crackle the reception and occasionally light up the sky like a Martian heat-ray! History is such an amazing subject! It involves so much, and in so many ways. Even the history of history is a subject unto itself. Ancient Greek mathematicians proved that the Earth was round, and NOT the center of the universe. The whole of ancient Greek mythology notwithstanding. Yet it took another millennia and a half for Christopher Columbus to sail halfway around the world and prove it to the majority of the civilized world. Many prominent legitimate scientists well until World War II believed the universe was filled with an atmosphere. It may have been heavier at sea level than at the top of a high mountain? However a belief that it continued on out and became thicker again on other planets had been debated for centuries. Stories by many famous science fiction writers reflect this. Mankind has learned more about the universe in the last past seventy five years than he did since he first began to walk upright before that. Too bad that he cannot seem to hang onto some level of wisdom in the process. I probably shouldn't say this here. But I have had a rotten several days. About ten years ago, I got into an argument with a hospital administrator about several fraudulent overcharges on a hospital bill. It amounted to a couple thousand dollars literally stolen. He puffed out his chest and proudly proclaimed that they (the medical profession) were on the verge of curing cancer! The implication was clearly that they had a right to collect money fraudulently because they were also doing a "wonderful" thing. He shut up and walked away quietly after I asked him a simple question. I asked "What good is it to cure cancer if in the process the lies, the fraud, and the political corruption, manage to collapse the economy and throw the human race back into a new dark ages whereupon the cures will be lost, and in the process send several billion people into early deaths through starvation and other diseases run rampant?" Please. Do have a wonderful day! I'll shut up now after I repeat that studying and understanding history is important. George Bernard Shaw once said, "History teaches us that we don't learn from history." I am afraid that he may have been right. But it is about time we did. The man was not a fraud! This is what you got for your dime. 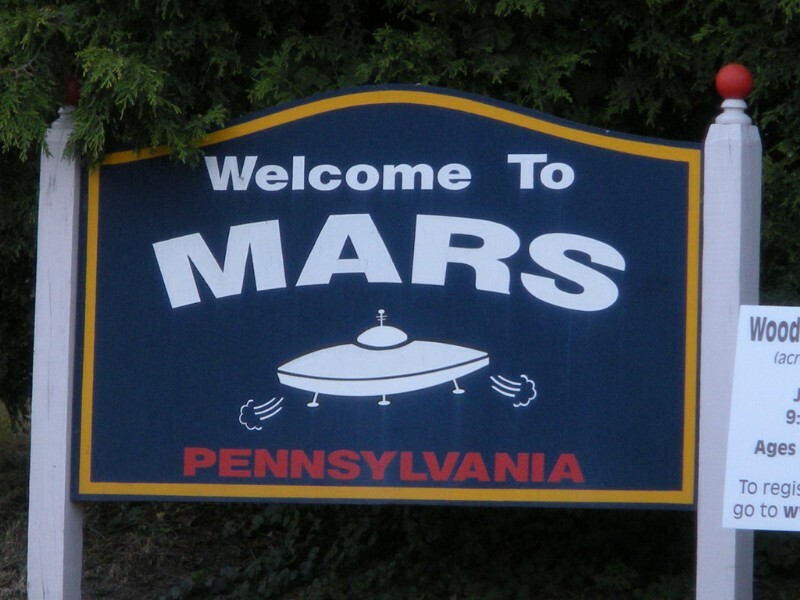 I have family that live in Mars, PA. 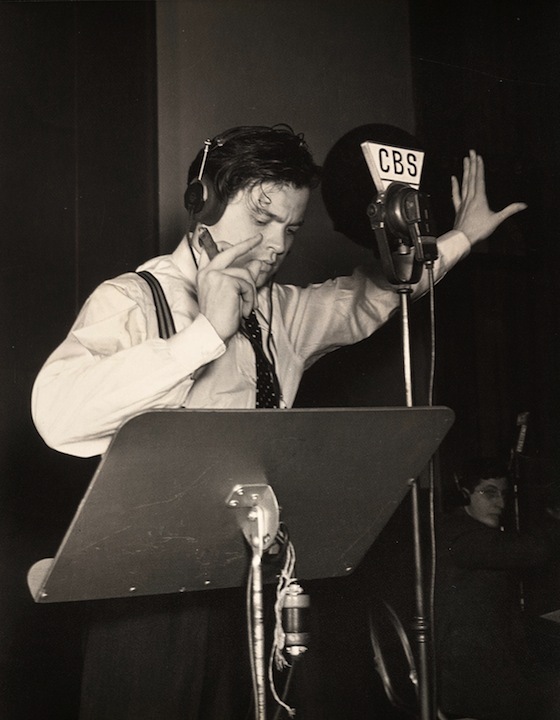 Note the CBS microphone flag in the Orson Welles photo. I picked up this aluminum microphone flag a couple weeks ago at an estate sale. 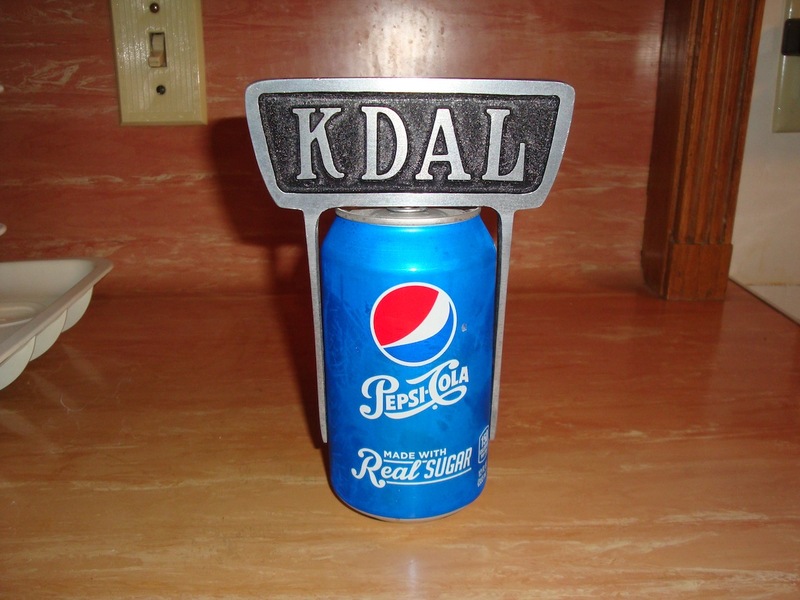 KDAL AM started broadcasting in Duluth in 1936. They branched out into TV in 1954 and FM radio in 1985. That's a mighty odd microphone. More drift: When I got into old radio many ears ago I made these flags. The story of the Red and Blue networks is an interesting little bit of history. Rich, those pants are from a suit my dad bought at Desmond's about 1940. Orson Wells did a pretty believable newscast when he did the so called Mars broadcast. For its time it fooled a lot of people. I bought every pin-striped suit the Salavation Army had for $5 for a couple of years. None fit at the time but each one has fit except for length throughout the years. Why we don't wear them on tours anymore I don't know. When I was a teenager I did a lot lawn mowing and snow shoveling for the little old men and ladies in the neighborhood. One of my customers was a real clothes horse. He was born in Honduras in 1901 and came to Minneapolis for college. I think he kept every single dress shirt, pair of pants, suit and tie that he purchased as an adult. In the basement, he had three steamer trunks and three metal wardrobes full of clothes he no longer wore and a couple dozen of his old suits covered and hanging up on a clothes line. When he and his wife retired, they wintered in Mexico and they would also spend time at the family Hacienda in Honduras. (I watched over their house while they were away.) He would buy a lot of quality leather dress shoes down there. Subsequently, he had a ample supply of brand new shoes in the house. Before I left for college in 1982, he gave me Hefty bags full of dozens of white cotton dress shirts with various style collars from the 1940s and 1950s and summer weight and winter weight wool pleated pants from the 1930s, 1940s and 1950s. This was beautiful, high quality stuff. Many of the shirts were brand new. Others were pinned and folded with laundry tags. Most fit me well and I regularly wore them. He was shorter than me be but the waist size was perfect so I let out the cuffs on half dozen pairs of pants and wore them freshman year. In the meantime I still had another couple dozen pairs of beautiful, wool pleated pants at home. Unfortunately, while I was in college, my mother threw them away! After he passed away, I ended up buying the house from his widow. 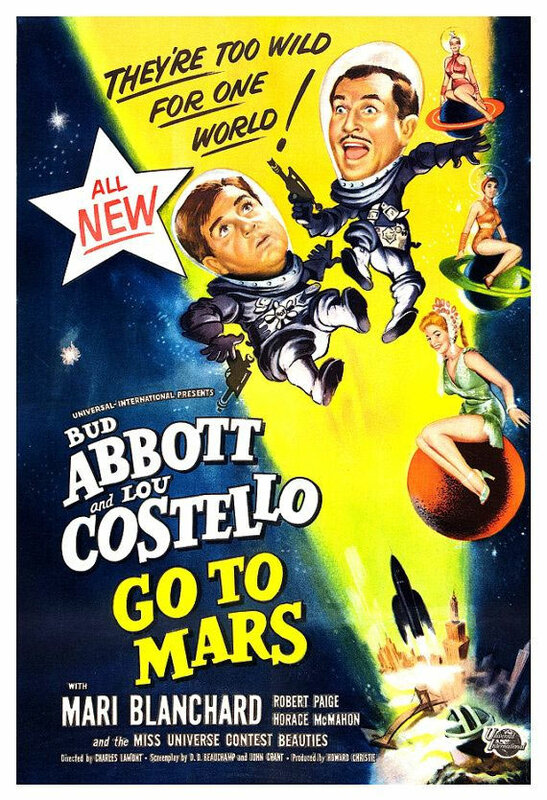 Burma-Shave ran a contest for a "Free trip to Mars for 900 jars". Arliss French took them up on it. They eventually settled on a trip to Moers, Germany. Details here.